There’s been a wave of new album releases from some of the biggest names in hip-hop recently: Wale, Kanye West, J.Cole and Jay-Z. However, it’s Jay-Z’s Magna Carta Holy Grail that is hogging the spotlight because it’s linked to an inspiring story of a talented teenager. Sixteen-year-old Ebony Oshunrinde got the opportunity to produce a beat for the rap star’s twelfth album. The Canadian-Nigerian teen who has just finished 11th grade and goes by the nickname WondaGurl is behind the track Crown. Oshunrinde started making beats when she was nine-years-old by following tutorials on YouTube. In her early teens, she entered beat-making contests and was soon discovered by producer Boi 1da, known for his work with Canadian rapper Drake. 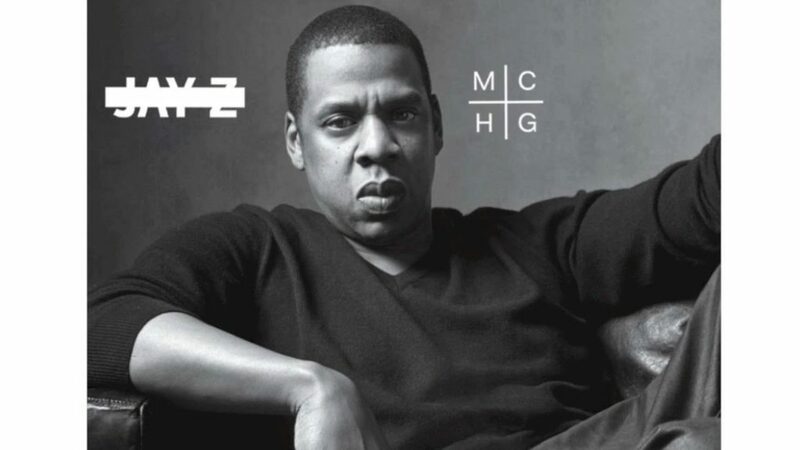 The young woman has worked on tracks for SonReal & Rich Kidd, Ryan Leslie, and on Travi$ Scott’s Uptown – which is what caught the attention of Jay-Z. The achievement is a huge boost to Oshunrinde’s music career and should earn her some royalties too. Rhodé Marshall is the Mail & Guardian Online’s project manager and unofficial entertainment reporter. She started as a radio reporter and producer in Cape Town, before jumping into online news. With one hand glued to her phone and the other to a can of Coca-Cola, she is a pop culture junkie. Connect with her on Twitter. The music scene on the African continent has always been a hive of activity, starting from the early sixties when the likes of Franco reigned supreme. But this activity was always shrouded in terms such as “world music” which tended to lump wide-ranging musical styles into a flat, gray mass of indistinguishable sounds. Over the past decade, this trend has changed. More cross-continental collaborations are taking place and, thanks in part to continent-wide television networks like MTV Base and Channel O, more people are being exposed to the wide array of artists coming out of the continent. I’ll be bringing you a monthly recap of some of the amazing music being released, from Ghanaian hip-hop artist Sarkodie and Nigerian artist 2Face Idibia, to the emerging Namibian hip-hop trio Black Vulcanite and South African pair Dirty Paraffin. For this inaugural music review, I trekked east and found Kenya’s Camp Mulla collaborating with recently-relocated Ghanaian rapper M.anifest on a made-for-the-club-dance-floor track; crossed the border over to the DRC to find Alec Lomani’s mind-altering beats, then headed to the continent’s southern tip where current hip-hop darling Khuli Chana was waiting with his poignant blend of retrospective rap awesomeness. Kenya’s Camp Mulla collaborate with Ghana’s M.anifest on a song so watertight it wouldn’t need to jostle its way onto a commercial radio playlist to be noticed. When I first heard All In‘s opening chords, it sounded very urban. Bar my reservations about the appropriation of fringe cultures by the mass market, All In is a decent song. M.anifest’s ascent has been nothing short of inspiring – barely a year has passed since he moved back to Ghana from America, but his list of achievements and award nominations are testament to his focus and relentless work ethic. Imagine Miriam Makeba on tour in the summer of ’72 in New York City. Pata Pata had just been released, and as the world prepared to usher in a new superstar, time leaps forward to 2013 in Kinshasa. Her historic tune has been usurped, turned on its head and re-interpreted into an unintended – yet exceptional – groove by Alec Lomami. The Kinshasa-born rapper currently living in South Africa is responsible for lifting the iconic song’s lilting melodies and ejecting electronic sounds which underpin the original’s funky strut. This accentuates rather than obscures Pata Pata‘s ubiquity on the musical landscape. Lomami expertly maintains the original song’s charm, yet drives it forward with his imaginative, forward-thinking approach to composition and song structure. “The song is an almost four-minute complaint,” he explained in an interview recently. “It is me being cynical … I tell myself ‘no one really cares, bruh, you’re just wasting my time. '” Pardon My French must be played at a really high volume while doing Saturday morning chores like laundry. Ridiculous dance moves are compulsory. 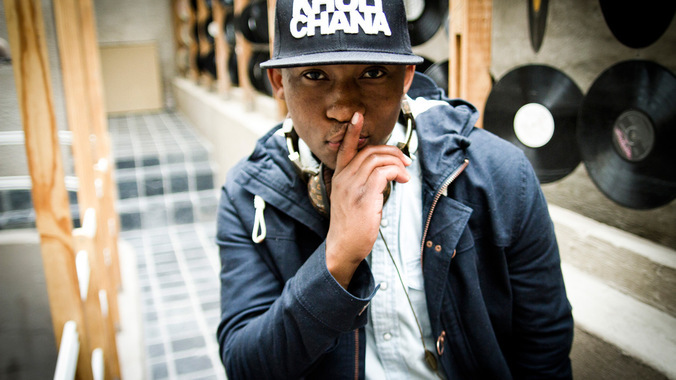 Khuli Chana’s story is not just the usual narrative of obscure-turned-famous artist. It is, rather, a nuanced tale of a childhood spent in the former homeland of Bophuthatswana under Lucas Mangope, absorbing mid-nineties rap music and dabbling in high school rap groups which laid a solid foundation for his music career. He was recently honoured with three Sama awards including Album of the Year. Khuli is no stranger to mainstream success; as part of Morafe, the group, along with Hip Hop Pantsula (HHP), brought the Motswako sound to a greater audience in the mid-2000s. Arguably, Motswako – a “melting pot of creativity, style, music and art” according to HHP – has now become synonymous with good times and party vibes, and Khuli Chana is its president. Firmly rooted in the basics of rap music, his impeccable flow and delivery set him apart from his peers. Coupled with his relentless work ethic,it will ensure his music endures time and its elements. Hip-hop is taking on an increasingly localised flavour, but it’s not all Africa has to offer. In my next review I’ll take a look at Ghana’s Azonto dance craze and South Africa’s emerging electronic music acts. 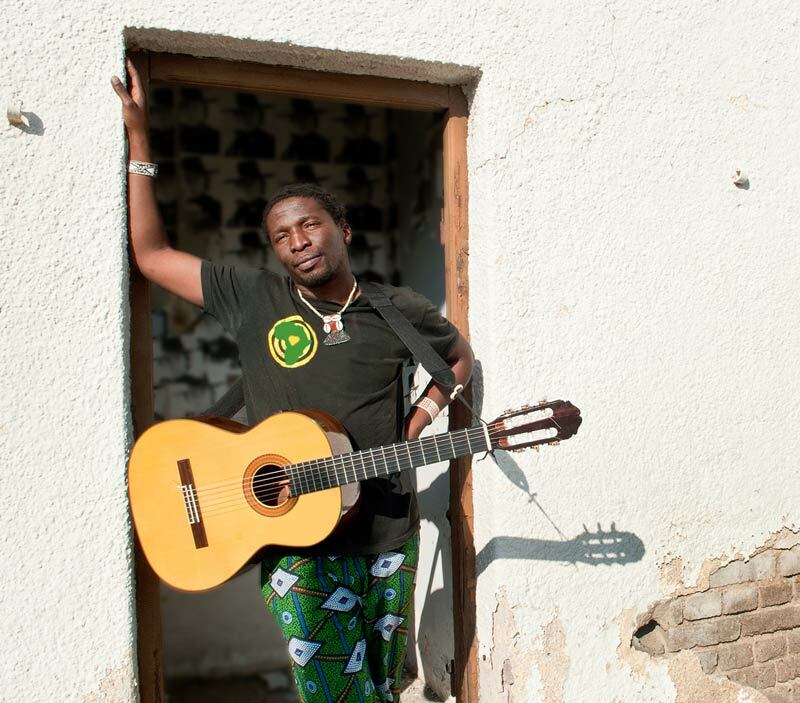 Namibian artist Elemotho G.R Mosimane is the first musician from his home country to win the 2012 RFI-France 24 Discoveries Awards, among a list of more than 500 African, Indian and Pacific artists. As part of the singer and songwriter’s prize, he received a promotional tour around Africa to 25 countries and an exclusive concert in Paris. Later this year he’ll be touring India, Malaysia and Nepal in a bid to raise his music profile. The artist, who grew up in the Kalahari, plays acoustic guitar and blends the sounds and rhythms of his home country with folk influences. He sings in his mother tongue Setswana, English and other Namibian languages. 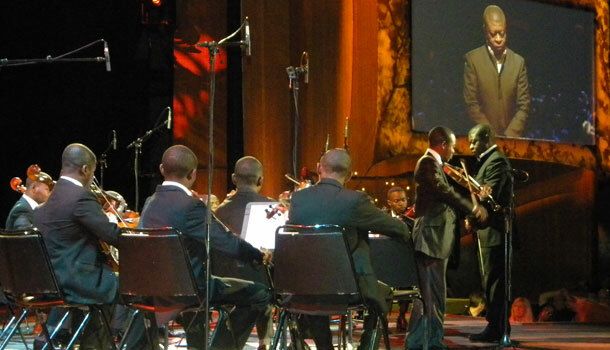 The RFI-France 24 Discoveries Awards is a contest open to singers in Africa and the Indian Ocean islands since 1981. The awards have helped launch the international careers of many artists, among them Ivorian reggae singer Tiken Jah Fakoly, Malian music duo Amadou & Mariam and artist Rokia Traoré, also from Mali. Since scooping the award in October last year, Elemotho signed a worldwide distribution deal with UK-based record label ARC Music and has just released his third album, Ke Nako (It’s time). From rural boy to modern lyricist, Elemotho stands out from the usual commercial and easily consumable sounds by using experimental ideas and delivering his own vision of music. Rhodé Marshall caught up with him for an interview ahead of his South African tour this week. How did your love affair with music begin? I have always had music and storytelling around me growing up as a farm boy around the fire with my grandmother. It was not until University while studying African philosophy and psychology that the music bug bit me. You compose, record and play your own music. That’s quite a feat. For me, music is a spiritual thing. Sometimes the songs come to you, sometimes you have to look for them. Recording music is like a pregnancy. I don’t do too many records, because it takes time to live the stories, and even more time to tell them. The acoustic guitar just does it for me. I cannot truly explain the many hats I wear, I guess in the end every artist is after something. I do not like to describe the music I do, but if I have to I would say it’s Afro-fusion. The new sound of the Kalahari, melodies of meditation with messages for our modern times. What are your thoughts on the Namibian music industry? Namibia has a small population and an emerging arts scene. There is much potential for us. Many people do not know Namibia, let alone the music. But I believe it’s bound to change. What genre of music is currently trending in Namibia? There is an emerging Namibian folk trend with a number of female singers/guitarists, something to look forward to. Which other Namibian artists should we be looking out for? There are a number of them – Ras Sheehama, Erna Chimu, Ngatu and Big Ben to mention a few. I recommend a CD called A handful of Namibians that’s a compilation of different Namibian musicians and genres. What is different about your latest album compared to your previous two? With Ke Nako it’s the first time I worked with a producer, Christian Polloni. He brought out the best in me. It’s a very timely album, and I feel that being a father and a family man does a lot for me in terms of perspective and approach. You’ve been touring Africa for the past three months. What are the most interesting things you’ve encountered in the countries you’ve visited? First and foremost I would like to say that Africa is a very diverse continent. Each country and region is producing an amazing patchwork of music, foods, history and more. Dakar, Senegal is quite something – an amazing city that rarely sleeps, a constant flow of culture, local and international. I found St. Louis to be magical – the river and sea, the new and old town, Wolof, Arab and French-fused fashions. Cotonou, the capital of Benin, is a port side city with thousands of motorbike taxis and amazing people. It’s the land of Angelique Kidjo and the land of voodoo! How can fans interact with you? The experienced traveller in all his passport-stamped and border-crossing glory would be ill-equipped for Zimbabwe, mostly because it is anything but the stereotypical African country some imagine it to be. Power cuts and politics aside, Harare is an ever-vibrant capital city with a nightlife so busy it reinforces the meaning of the city’s Shona name as a place that never rests. The capital remains ever-shifting under the temperate bright blue summer days or the chilly starry winter nights – more so every year in April when the Harare International Festival of the Arts (Hifa) kicks off in an explosive celebration of dance, theatre, music, art and culture. This festival transforms the city into an animal that breathes through drum beats, dancers’ flexed feet, brushstrokes of artists and the voices and footsteps of thousands of festival goers that religiously attend the shows every day. The theme for this year’s festival – What’s Next: Looking Back / Looking Forward – echoes the sentiments of Zimbabweans: what next for the country and its future? One of the top-selling shows, 51%, may have an answer. This sold-out stand-up comedy show finds common humorous links between disparate or controversial issues like race and gender as well as topics ranging from troubled policemen, nuclear threats and crazy Australian wildlife presenters. Featuring Michael Kudakwashe, Comrade Fatso and Clive Chigubu, 51% fosters a growing appreciation for stand-up comedy in Zimbabwe. According to Fatso, it allows people to “laugh out loud at our issues” in a controversial yet humorous performance that combines political satire, wit and clever observation. In true form the performance does have moments where, in addition to laughing, you do look around to see if the ever inconspicuous state secret police will single you out for laughing too hard. Although shows like 51% may not be directly changing people’s lives, they do inspire people, and form part of a greater collective of cultural activism platforms headed by Fatso’s Magamba Network, the country’s leading hip-hop and spoken word organisation. Such projects range from Shoko, Harare’s first hip-hop and spoken word festival, to the highly popular Zambezi News, a satire comedy show along the lines of South Africa’s ZA News. The explosive performance by Noisettes on Thursday evening seemed to be the one that most appropriately answered the festival’s question. The band, led by the London-born Shingai Shoniwa and Dan Smith, enthralled a crowd of over 1 500 people with their smash hits Never Forget You and Don’t Upset the Rhythm. The best part of the performance wasn’t even the inspiring, enigmatic Shingai, with her sensual allure, likeability and distinctive neo-soul vocals. It was the collaborations between Shingai and up-and-coming local artists like Hope Masike and the award-winning Chiwoniso Maraire. The collaborations created a unique fusion of sound, mixing Zimbabwean musical instruments like the mbira with electric guitar sounds, creating an eclectic fusion that is so aptly Zimbabwean in nature and sound. Superb renditions of songs such as Miriam Makeba’s Kilimanjaro and Malaika and remixes of popular tracks such as D’banj’s Oliver Twist were included in the band’s repertoire. “This is a dream come true for me. 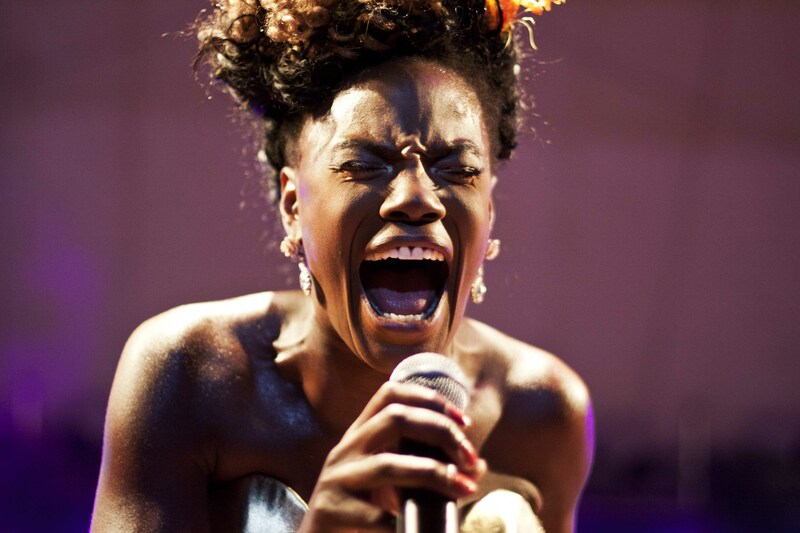 Zimbabwe, I am home!” said Shingai to a roaring crowd. We couldn’t have agreed more. If the band’s success is “what’s next” for a generation of Zimbabwean musicians then many more artists may now have the courage to pick up a guitar and play the first chords to what could be the next greatest song. Shingai, we want to be like you when we grow up. Daughters of Legends – Selmor Mtukudzi, daughter of superstar Oliver Mtukudzi, and Nkulee Dube, daughter of the late reggae icon Lucky Dube, will thrill audiences with their unique sounds of afro-jazz and reggae. Friday May 3, from 10pm to 11pm. Baaba Maal – The legendary Senegalese musician and guitarist Baaba Maal will be performing with his band. Saturday May 4, from 8pm to 9pm. Mi Casa – South Africa’s hottest house music band will collaborate with Zimbabwe’s hottest up-and-coming solo female vocalist, Ammara Brown. Saturday May 4, from 11pm to midnight. Mokoomba – Award-winning Zimbabwean band Mokoomba will close the programme with their vibrant afro-fusion of Tonga traditional rhythms with modern influences. Sunday May 5, from 8.30pm to 9.30pm.